House Minority Leader John A. Boehner (R-Ohio) on Wednesday backtracked from remarks he made Sunday suggesting he would support extending the Bush tax cuts only for households with incomes below $250,000 a year, as President Obama has proposed. At a news conference on Capitol Hill, Boehner repeatedly emphasized that he would support only legislation that kept in place all of the tax cuts. He sidestepped questions about how he and Republicans would vote if Democrats insisted on pushing through a measure that ends the tax cut on household incomes of more than $250,000 a year. Tax cuts for all incomes that passed in 2001 and 2003 under President George W. Bush are due to expire at the end of this year. Have you heard the news? The City of Camden plans to close their three public libraries, due to the economic crisis plaguing the nation. The Camden County library system is planning to take the Camden City libraries over, but they still spoke of closing some branches. State and municipal government are experimenting with similar pinchpenny ideas — the City of Philadelphia has planned “rolling blackouts” (they call them) of fire stations, whereby the stations are closed in revolving shifts for a couple of days or so. Colorado Springs plans to turn off a third of its street lights. In Hawaii, public schools have closed on Fridays; Utah seriously debated either eliminating the 12th grade or making it optional. This is the point we have reached in this country – we have prided ourselves on our public school system, and we have always been told as kids, “Stay in school so you’ll get a good job.” Now with the economy in a shambles, there are no jobs to go to, good or bad. Plus, education is a way of empowerment, for personal growth; is education becoming a luxury, wasted on the likes of George W. Bush, an alumnus of Yale and the Harvard Business School? Look what it did for him, and us. For over thirty years, we have been inundated with calls to “limit big government”; the axiom is, government is in-and-of-itself incompetent, while the “free enterprise system” can do miracles. Part of that miracle making (the premise of the “supply-side economics” of Ronald Reagan) is to cut taxes on the most affluent of our citizens, who will invest their savings from their taxes into new equipment for their factories. Sounds like a good idea, right? But the results are in — Factories are closed in this country and moved to foreign lands, where workers are repressed from organizing and get pocket change for wages; workers therefore lose their bargaining power when negotiating for wages and benefits, and the company reduces both, and the workers have no choice but to go along or lose both. The tax base is thereby also reduced, which means less comes in for taxes, and so services are reduced, such as schools, libraries, hospitals, police and fire stations, ambulance and emergency services, water sanitation, and street cleanup and repair, for example. And for the corporations, they sic their lobbyists on Congress and the Executive branch — many lobbyists are veterans of both — and they get bailouts and tax breaks that, in the official mythology, stimulate the economy. The idea of community, of working for the betterment of the larger body, is treated like a joke at best, or (gasp!) COMMUNISM at worse. We are on our own, we are told, and we have to fight and kill each other for an insufficient number of jobs. Which we need to pay our bills. That is what has been passed off as “reality”. And what IS reality? Whatever the news media says it is? And what comprises the news media — whichever one you choose to believe? Lately we hear the news flash that about one fifth of those surveyed believe that President Obama is a Muslim — and if he WERE a Muslim, why would that that a bad thing? He is definitely NOT a Muslim; I remember the controversy around the Reverend Jeremiah Wright, pastor of the church Obama attended in Chicago. That shows Obama’s not a Muslim — but if you want to slander someone, you don’t need reality. The Progressive Organizing Workshop (POW) will take place at Community College of Philadelphia, 17th and Spring Garden streets, on Saturday, September 25, from 1:00 PM to 4:30 PM. The focus will be on organizing poor and working people — 98 percent of the population — for political action. For further information, contact Philadelphia Neighborhood Networks, at www.phillynn.org. I was pretty upset with the Shirley Sherrod incident; Sherrod, an official in the Agriculture Department, had to resign, somehow, because a video put out by Andrew Breitbart, one of the stars of Fox “News”, was edited to make it seem like she would discriminate against white farmers. The problem went so far that the NAACP repudiated Sherrod (not refudiated-so THERE, Sarah Palin!). But Sherrod and the NAACP made up, although she turned down an offer to rejoin the Obama administration. Why was a lie put forth by a rightist blogger accepted so readily? Conservatives have the advantage of social respectability, that what they believe is the only socially acceptable and decent thing to think — the “conventional wisdom” — and anything that deviates from that is scrutinized, while the accepted conservative scenario is never questioned. I was pleased, however, when President Obama showed some backbone supporting the construction of the Islamic Center in Manhattan. The right wing-dings, led by Sarah Palin and Newt Gingrich, whined about the center’s supposed proximity to the site of the World Trade Center, the site of the September 11 tragedy. It disgusts me how these overpriced and overpaid media-molded cretins can come to the most cosmopolitan area of the country and exploit the pain and fears of those who endured the tragedy, for their own vote-mongering and money hustling purposes. I am a Jew, damn proud of it, and I stand by and for Israel; and I SUPPORT the right of my Muslim fellow Americans to construct their community center. And while we’re in Ramadan, let us give our greetings to our Muslim neighbors, and learn all we can about their faith. Enjoy the summer while you can — I will — and I bit you all Happy Labor Day. Bye! Ezra Klien has a nice graphic in the Washington Post comparing the Bush tax cut with Obama’s proposal. The plan on the right supported by the Republicans and well as Kent Conrad (D-ND) and Ben Nelson (D-NE) would add $36,000,000,000 to the deficit according to the nonpartisan Joint Committee on Taxation. Last week The Washington Post reported that security and military ties between the United States and Israel “have grown ever closer during the Obama administration. Over the past months we have seen what Defense Secretary Robert Gates called an “unprecedented” level of strategic military cooperation between our two countries. 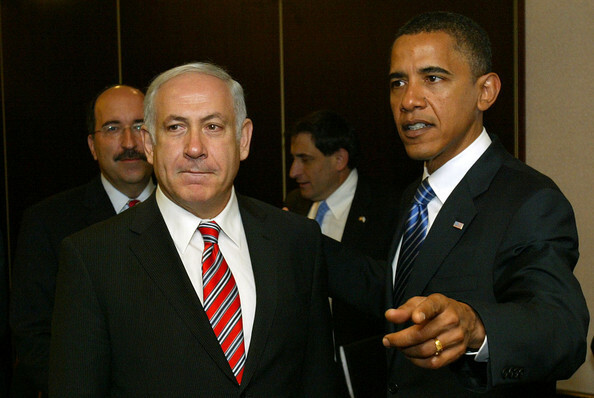 Among other things, President Obama requested and received $2.8 billion for directly assisting Israel’s security; restored Israel’s Qualitative Military Edge, which eroded during President George W. Bush’s Administration; and helped secure $205 million for the Iron Dome Missile Shield, which protects Israel’s southern and northern towns from Hamas and Hezbollah rockets.